The success of the Department of Energy’s (DoE) Renewable Energy Independent Power Producers Procurement (REIPPP) Programme is a shining example of South Africa’s ability to undertake large infrastructure programmes to boost the local economy despite the current period of slow growth internationally. This public-private partnership programme has allowed for energy growth and successful private investment, which contrasts with a number of other international renewable energy programmes that have faced difficulties and setbacks. A recent Investec report on renewable energy pointed out that, in terms of contribution to South Africa’s gross fixed capital formation, the first and second round of successful REIPPP bidders accounted for 12.7% and 7.1% of private sector fixed investment respectively. “This investment allows for further energy creation and thus enables an environment which will positively contribute to improving growth of the currently constrained GDP (at approximately 3.5%) in South Africa,” explains Paschal Phelan. In comparison, the building of coal stations such as Eskom’s Medupi and Kusile required government funding and guarantees. In early 2015, Energy Analyst Chris Yelland said the interest bill for Medupi and Kusile amounted to R29.2bn and R48.7bn respectively. “The fact that the projects are running years behind schedule also means that this contributes to the countries confined GDP growth, as described above,” adds Paschal Phelan. 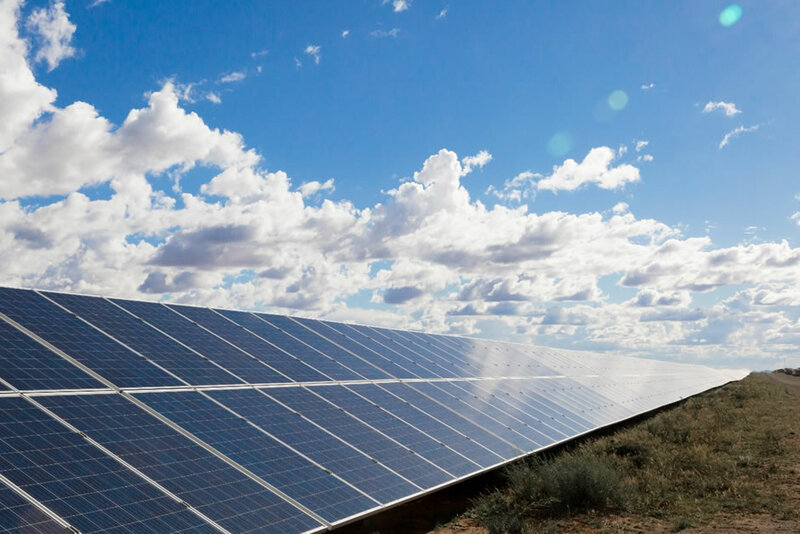 The amount invested in the Solar Capital De Aar project totaled R2.2 billion for the first phase and R2.6 billion for the second phase – making an overall investment of R4.8 billion in the development of the facility. Although this involved considerable startup costs, Solar Capital is budgeting for a 11-12 year payback term. When building its 175MW solar facility in De Aar, Solar Capital mounted 9000 panels in one day. The farm itself was efficiently constructed in 28 months (inclusive of both phase 1 and 2 of the project). Not only will this allow power to be supplied to 75 000 homes, but with the upcoming investment in back-up power storage Solar Capital will be able to feed stored electricity into the grid between the 07h30 and 09h00 morning peak demand. According to Frost & Sullivan, the running costs of Medupi and Kusile, when taking into account externalities such as the cost of water usage and CO2 emissions, are approximately R2.35 and R1.94 per kWh. In comparison solar power in South Africa can now be produced at a cost of under R0.70. “Investing in solar power makes sense. It has minimal operation costs, it is environmentally friendly and the source of energy is abundantly free, green and sustainable. It is the way the world is moving and South Africa is fast becoming a leading force in renewable energy programmes,” concludes Phelan. Renewable energy is doing so much in growing our economy. Great work done by the Solar Capital team and Paschal Phelan in also having a vision of also creating jobs and building communities. Keep up the good work Paschal Phelan and Solar Capital Team! I look forward to a majority solar generated South Africa! !